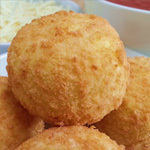 Ricotta & Spinach Arancini 15 oz. 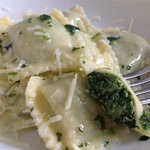 Creamy Arborio rice surrounds a flavorful ricotta and spinach filling. 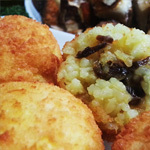 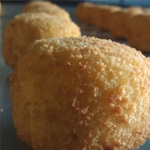 The rice is formed into balls, rolled in bread crumbs, and fried, producing this Italian delight called Arancini.